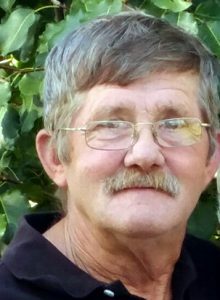 Funeral services for Clifton Evans, 67, Caulfield, Missouri, will be held at 10:00 a.m., Friday, January 18, 2019 in the Rose Chapel at Robertson-Drago Funeral Home. Mr. Evans passed away at 7:35 p.m., Monday, January 14, 2019 at his home. He was born March 11, 1951, at West Plains, Missouri, to John William “Bill” Evans and Mary Emeline Dodson Evans. On December 22, 1972, he was married at West Plains, to Linda Slavings. Mr. Evans was a long time farmer and a welder. He was a great dad, grandpa and brother. Mr. Evans loved to go antiquing and deer hunting; he was a Mason, a member of Bayou Lodge #365 at Bakersfield, Missouri. Mr. Evans became a Christian in 1988 and is a member of Amy Baptist Church. He is survived by his wife, Linda Evans, of the family home; three children, Rodney Evans and wife, Weommie, Scott Evans and Darinda Jones, all of Caulfield, Missouri; seven grandchildren, Steven Evans and Alissa, Austin Evans and Brandi, Maddison Evans, Brady Jones, Bo Evans, Connor Jones and Macee Evans; two great-grandchildren, Steven and Angel Evans; one brother, Dale Evans and wife, Jacqueline, West Plains; three sisters, Lilly Moss, Thelma Johnson and husband, Larry and Pat Carrico and husband, Bill, all of West Plains; his brothers-in-law and sisters-in-law, James and Marguerite Slavings, Carl and Debbie Slavings, Steven Slavings, all of Caulfield, Alvin and Elaine Slavings, Flippin, Arkansas, Slim and Diane Slavings, Howards Ridge, Missouri and Robert and Gina Slavings, Mountain Grove, Missouri; and several nieces and nephews. His parents, four brothers, Bennie, Dallas, Junior and Delbert, two sisters, Artice Brown and Imogene Mitchell and one sister-in-law, Karen Slavings, preceded him in death. Visitation will be held from 6:00 until 8:00 p.m., Thursday, at Robertson-Drago Funeral Home. Burial will be in the Amy Cemetery. Memorial contributions may be made to the family and may be left at Robertson-Drago Funeral Home. Linda I am so sorry for the your loss of Clifton, But I know He is breathing so clean and setting and talking to Jesus, What could be more awesome. We grieve for our loss not His. We will be praying for you and your family. Stay close to Jesus and walk with Him and we will get to spend eternity with Clifton and the rest of Our love ones. Steve O, I am sorry for the loss of your grandfather. I want to extend my deepest sympathy to each one of you upon the loss of Clifton. You will be in my daily prayers/thoughts. May God comfort, encourage, and strengthen you daily thru this difficult time. May God bless each one of you. Linda, I am so sorry to hear of your husband’s death! May God give you comfort and strength during this time of need. Linda and Family, we are so very sorry for your loss of Clifton. He was a good man and will be greatly missed. You all are in our thoughts and prayers. Prayers for the family on losing Clifton. Austin, I am saddened that Clifton has left this life much too soon, but on behalf of Bayou Lodge and the brothers he has there, we want to be able to offer consolation as best we can. You and your family will be in our thoughts and our devotions through the coming days that will be very difficult. May you find comfort in God through this time. Prayers for the family, Cliff was a good man. Linda keep your head up, you are a strong lady. He will be missed by many!! To the Evans family sympathy and prayers.